If the phrase “plant-based diet” was not part of your vocabulary until recently, you aren’t alone. Plant-based has become a buzz word, but for good reason. We keep discovering more benefits and it helps that the availability of delicious meatless and dairy-free products showing up on restaurant menus and across mainstream grocery shelves continues to rise. Unlike elimination diets, a plant-based diet emphasizes all the foods you can eat like fruits, legumes, seeds and grains. It’s really all about putting more of these colorful, delicious, nutrient-rich foods onto your plate and less about, well, less. As a Chef, living a plant-based lifestyle has interested me for as long as I can remember. Since I was 4-years-old and made the awful connection that the beautiful cow grazing on the side of the road was what made up my hamburger. I lost my appetite. But truth be told, when my business partner Nicole and I set out to create SorBabes our mission was not to create an entirely plant-based dessert. Our goal was to make the most flavorful frozen dessert imaginable. While testing recipes, we discovered that eliminating dairy or even dairy alternatives like coconut milk actually allowed us to deliver more intense flavors from fruits and nut butters. Nicole and I are conscious about the food we eat, love the environment, care about animals, seek out ways to be healthier, but we want to eat food (and serve food) that tastes indulgent. Especially when it comes to dessert! Creating SorBabes helped us discover little changes we can make to ease into more plant-based meals and menu planning each week. We didn’t want to settle for lower quality or taste and we knew we weren’t alone. The biggest lesson we learned along the way to building our plant-based, totally non-dairy ice cream was to never settle. That meant never settling on creating a dessert that is as good, or better, than the craft ice creams we love (and seriously crave). It also meant never settling when doors were shut or we were told “no”. No one should have to feel like they are settling when they choose a healthier option. Luckily, the food world is catching up to that attitude and there are so many great-tasting, plant-based foods available from which to choose. As someone who has made a living making food for other people, I remain curious about a wide variety of foods and the intersection of flavor and texture. I also recognize we have a natural desire to seek out foods that feel familiar and hit our satisfaction or indulgence buttons. For example: the evolution of the brussels sprout. Once boring and bitter, boiled brussels sprouts were for decades left untouched on many a dinner plate. Now you find them on menus tossed with olive oil, salt, roasted then drizzled with maple syrup and a splash of fruity vinegar. Brussel sprouts are now crave-worthy. Vegetables can be indulgent in their own way. They can be comfort foods, too. While we may sometimes focus on flavor (or the nostalgia of flavor) first, the health factor of what we consume is equally powerful. 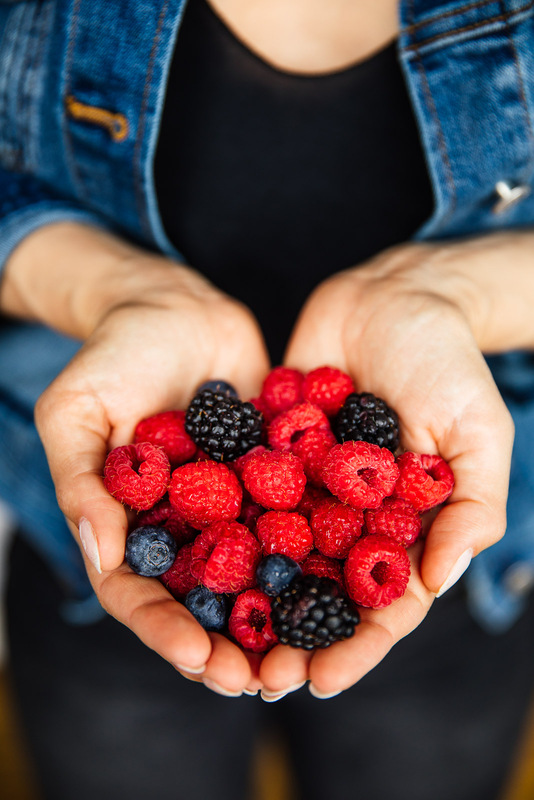 Studies have continued to show us that eating a variety of whole, plant-origin foods, delivers a diet rich in valuable vitamins and nutrients and can help lower risk factors for issues like heart disease and diabetes. It’s also surprisingly complete, and very unlikely to hold us back from getting enough of things like protein (as one might assume). Getting enough whole plant foods every day should pack enough of the protein the body needs. In fact, studies have shown that high protein intake can have the opposite effect on our health and wellness. In a recent study of more than 6,000 people in the best nationally representative dietary survey in the United States, those between 50 and 65 years old who reported high protein intake had a 75 percent increase in dying from any cause, a four-fold increase in cancer death risk during the following 18 years, and a five-fold increase in death from diabetes. And, we’ve been learning that processing meat for consumption takes a big toll on the environment with red meat such as beef and lamb producing 10 to 40 times as many greenhouse gas emissions as vegetables and grains. Beef is single-handedly the biggest culprit, with researchers from Bard College, the Weizmann Institute of Science, and Yale University finding that it uses 28 times more land per calorie consumed, and 11 times more water, than other livestock categories. Food sources like nuts, beans, fish, and eggs consume the least. So, opting for more plant-based products may not just be better for your body, but easier on the planet, too. Now all that sounds great, right? But, quitting the consumption of animal products entirely and becoming a committed vegan for life may not be achievable for everyone, going cold turkey is hard. However going a little bit more vegan everyday by being a conscious consumer and opting for plant-based whenever possible, might be the way to start. For that evolution to be successful, we need plant-based options available that are equally accessible and satisfying. Some of the most exciting (and tasty) plant-based alternatives I’ve been exploring are things like nut milks that deliver amazing flavor. Elmhurst Walnut milk or Milkadamia are two of the more unexpected, and awesome, nut milks that I find to be more flavorful than dairy milk. There’s also a delicious alternative to that burger we’ve been craving since childhood. Beyond Burger has perfected a patty that’s the perfect platform for toppings like grilled onions, vegan kimchi slaw, juicy tomatoes and a slathering of ketchup, Dijon mustard or JUST chipotle mayo. No matter the path taken in exploring a more plant-based diet, it’s heartening to see how many innovative brands are making meatless and dairy-free meals more accessible, interesting and delicious. With the right information, consumers won’t need to feel like they’re substituting foods in their recipes, they’ll just find them to be downright satisfying. If we embrace this plant-based shift the next generation will be craving those roasted brussel sprouts from their childhood instead of a hamburger. Ever since Deborah Gorman was tall enough to reach the kitchen counter, she knew she was destined to be a chef. Her grandmother taught her how to cook and inspired her with a deep love for food and entertaining. Deborah was influenced by working in the kitchens of restaurants like Blue Hill at Stone Barns. Deborah is the co-founder of SorBabes, the new generation of frozen dessert that spins together whole food ingredients and indulgent toppings to create a craft ice cream-like experience – all plant-based with no dairy or dairy alternatives. For more information, visit www.sorbabes.com.